How Do I Convert a Three-Jaw Drill Chuck to an SDS Drill? What Is a Dewalt XRP? DeWalt XRP is a line of cordless tools that utilize high-capacity Lithium-Ion batteries. The DeWalt XRP line includes cordless drill/drivers and hammer drills. The XRP line was completely redesigned from its predecessors, for improved performance, longer run time between charges and longer overall life of the batteries. Many of the XRP batteries are backwards compatible with previous DeWalt cordless drill models. The heart of the DeWalt XRP line is a new nano-phosphate formula lithium-ion batteries. DeWalt claims that these new batteries have improved durability can be re-charged up to 2000 times over the life of the battery. The line includes 18-volt, 144-volt and 12-volt models. Each model in the DeWalt XRP drill line has a three-speed transmission (where most other drills have a two-speed transmission). This extra gear allows the drilling action to adapted appropriately for the task at hand. First gear is for wood drilling with hole saws, second gear for auger bits and third gear for hammer drilling into concrete. The DeWalt XRP line of drills incorporates improvements to the drill motors and chucks. The high-efficiency, frameless motors are designed to have 30 percent more run time, and are connected to a self-tightening chuck to help keep the bits from slipping. The DeWalt XRP line is designed with all steel gears and a metal gear case, that not only gives the drill greater durability than previous models, but it allows the drill to have greater dissipation of heat. 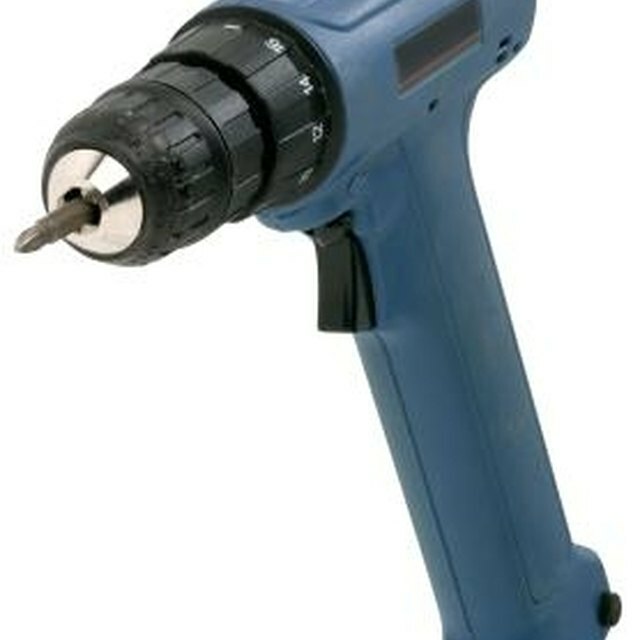 The drill motor brushes are also easily accessible for quick replacement. The DeWalt XRP line has been designed so that the drill has better balance, and a cushioned ergonomic grip to help reduce operator fatigue. Each XRP drill also includes an LED work light to illuminate the work surface. What Are the Dangers of Drilling Into Walls?